Alicante, Spain – Day 3! Last night Ania and I headed down to O’Hara’s Irish Pub to visit Gosia at work. It’s a beautiful area. It’s right across from Playa Del Postiguet beach, and it’s on the esplanade here in Alicante. At night everyone sits out front of the restaurants and pubs to socialize and have a few drinks. We stayed at O’Hara’s for a bit then we headed home because Ania had school early this morning. When we got back I got online to catch up with my family and friends back home and then headed to bed fairly early. I woke up around 10AM and had to be out of the house before Aiste left for the beach because I had no keys, and they needed to lock up the flat while we were all off doing our own thing today. Aiste, her mother, and friend headed off to the beach and I had to run to the local internet cafe so that I could print out my RyanAir boarding pass for Wednesday evening. 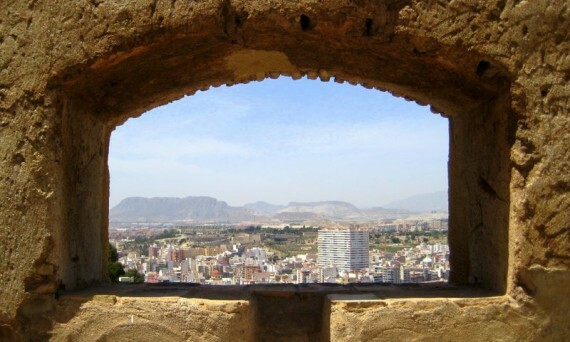 After printing my boarding pass I headed down to the Alicante Tourist Center to see if there was anything special to do and see in Alicante other than the beach, and the Castle that overlooks the city of Alicante. Surprisingly there wasn’t much else to do, which was fine with me. 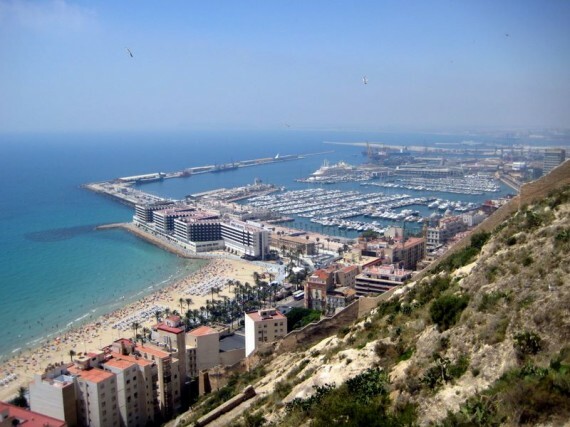 I came to Alicante for the sun, the beach, and to get away from the overcast weather of Dublin! I found the bus that takes you to the top of the Castillo de Santa Barbara (Santa Barbara Castle) and I took the trip to the top for a very cheap price of 2 Euro! I had asked the clerk at the Alicante Tourist Information Center if I could walk to the top of Santa Barbara Castle, but he said that it wasn’t safe because cars and buses drive up and down it. Later on I ended up walking down instead of taking the bus. It was beautiful and no where near dangerous! There was a sidewalk the whole way, so I don’t know what the guy at the Tourist Information Center was talking about. After arriving at the top of Santa Barbara Castle, I was short of breath. Honestly, the views were out of this world. The city of Alicante was built around the castle and I don’t know too much history on it, because I didn’t get the chance to actually stay up there for that long but I have to say the castle is simply amazing! There are so many different views and vantage points in the castle, and there are sets of stairs leading to new views, and higher points of the castle every where you look! The best part about Santa Barbara Castle is that it’s FREE! You are free to walk around the whole castle, some of the insides and all of the outside of the castle. It is very well maintained and the grounds crews have planted all sorts of cactus, plants and other flowers inside of the castle. If you are ever in Alicante, this is pretty much the one and only visitor attraction, other than a few museums and the beaches of course! 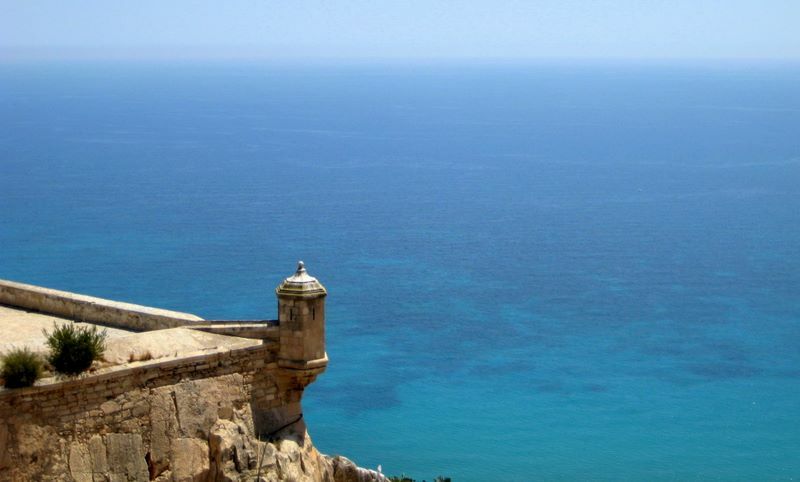 Don’t miss out on Santa Barbara Castle, you’ll regret it! As I said earlier, I ended up walking down to the beach from the top of Santa Barbara Castle to meet Gosia. It took me about 30 mins to walk down, but it wasn’t bad at all. The weather was beautiful and I just couldn’t wait to jump in to the Mediterranean to cool off. We walked across the Esplanade and headed for a beach I hadn’t been to yet, the main beach that lies in front of Alicante Center called Playa Del Postiguet. It was just a nice as San Juan Beach, but much smaller. I didn’t care really, I headed straight for the water as Gosia watched my belongings on the beach. I spent about 20 minutes in the water and then headed back to lay out for a bit. We stayed at Playa Del Postiguet for about an hour and then Gosia headed off to work while I headed back to Ania’s flat. And that was day three in Alicante, hope you enjoy the photos! 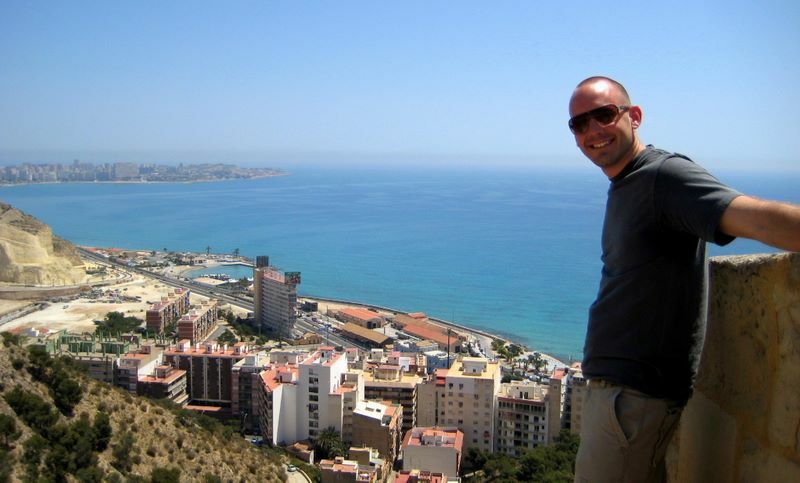 To see more photos, check out the Alicante, Spain album in the Photos section of PTM!